When you are considering selling your business it is imperative that you contact the right broking company, one with the technical qualifications, and experience in the market to be able to advise you competently and has the reputation of achieving the Best Price in the Shortest Possible Time. The decision to sell your business is one of the most important you will ever make. That’s why your decision warrants nothing but the best in planning, attention to detail and professional consultation. You may have heard us say this before – at Performance Business Sales we leave nothing to chance.We continually research and review the market and gather sales evidence to add to our extensive business benchmark values collected since 1982. This data is then utilised together with operational and financial information on your business and our experience of literally hundreds of sold businesses over many years, to arrive at the Best Possible Price for your business. Ask your broker what past sales successes he has had, and which businesses like yours he has been involved in selling. Every business sector has its own peculiarities that a broker must understand, and there is no substitute for experience gained in the marketplace. Above all, be aware of the broker who will attempt to gain the listing by suggesting an inflated and unrealistic price and then blaming market influences for not achieving that result. For most businesses, particular care must be taken to protect confidentiality in marketing the business. This avoids potential damage to relationships that can arise from staff, customers, suppliers or competitors knowing that your business is for sale. Performance Business Sales achieves this by having all buyers sign a three-page legal confidentiality agreement. The ability to qualify buyers successfully can only come with experience. The art of successful business broking is finding “The Right Buyer” for each business. Why Not Sell the Business Myself? Some business owners attempt to sell their business themselves and they soon find that the sale of a business is extremely difficult to accomplish without an experienced specialist business broker. They usually find that the frustration, expense and time involved do not yield cost savings. The seller generally doesn't know how to properly price the business or present the business in the best light from a buyer's perspective. Since the seller does not have access to past sales evidence or a large number of qualified buyers, many owners end up selling their businesses for much less than they could have by working through a professional business broker. Just as important as price, the seller is usually unable to efficiently hide the fact that the business is for sale from employees, customers and the competition. It is also a proven fact that a better result is achieved for the seller when at arms-length and negotiations are undertaken by a third party – the specialist business broker. What Dictates the Sale Price? In other words it all boils down to risk. Generally, the value of a business relates to, the lower the risk, more buyer demand therefore the higher the price and conversely the higher the risk, less buyer demand therefore the lower the price. How the Price is Established? A business is worth what a buyer is willing to pay for it (willing buyer – willing Seller). However, several factors come into consideration. To appraise the value of a business is a complex issue. Regardless of the number of sophisticated valuation techniques, there is still no substitute for the expertise of an experienced business broking operation which has historical sales evidence in your market sector. There is a variety of techniques which can be used to determine a fair value for a business. The widely accepted method is to value the business based on the return on the capital invested in the particular business. A range of rates of return on investment (ROI) for specific industries is published on a regular basis. It is compiled from actual reported business sales and is calculated as a return to a single owner operator, divided by the purchase price X 100 and expressed as a percentage. The range is often wide as it relates to a mixture of sales from poor/low profit businesses to high-quality businesses. The low end of the return % range reflects better quality businesses, which can be influenced by buyer demand and growth trends, profit level, location, trading hours/days, number of clients/suppliers, staff levels, ease of operation, potential to increase profits. All of these components reflect a lower or higher risk and thus influence the Return On Investment Rate for the particular business under review. Performance Business Sales is in touch with the market on a daily basis and is the best means to ascertain accurate price parameters for your business. Will I Need to Recast My Financial Statements? While recasting may appear to be an unnecessary effort, in fact recasting your financial statements will typically lead to a clearer, more favourable picture of the value of your business. Recasting will also help identify ways in which the value of your business can be maximised before it is placed on the market. Specifically, since most privately held businesses attempt to maximise expenses to reduce the amount of taxes paid, restating your income statements will probably make your business look more valuable and profitable to a potential buyer. If you are like most owners of privately owned businesses, you have probably structured your business expenses to include both private and one-off expenditure items. For example, when your financial statements are recast, they will not include personal expenses such as travel, entertainment, private vehicles, or the salaries of relatives etc. that are not directly associated with the running of the business. Also, by recasting the financial statements, your accountant will eliminate all extraordinary revenues and expenses such as one-off transactions or expenses. These items may have been included in your statements in order to minimise taxes, or they may be related to ventures outside the scope of the core business you are selling. To correctly calculate one-off or private expenditure items, it is ideal to compare each expense amount over the past two or three years. Buyers or their accountants will most likely question variances in expenses from year to year. Therefore, the first step in the process is to contact Performance Business Sales to arrange an appointment to discuss what information is required to assess the value of your business and how we will go about marketing your business should you decide to offer us that privilege. Selling a business is no fluke; it requires considerable expertise and specialisation. We know the market intimately and will provide you with a written assessment of the value of your business in today’s market. Contact: Performance Business Sales to arrange a meeting for a confidential discussion on the best way to achieve the ultimate outcome for you. We also conduct research, write in-depth reports, review the market, contact buyers, arrange meetings and represent you in negotiations. Our factual business reports average 60 pages and include staff evaluation, products, markets, facilities, sales, potential and competitive position. This selling tool replaces guesswork and hit-and-miss negotiations with a systematic approach that will strike a remarkably rewarding result, saving time and disruption to your business during the selling process. The report objectively evaluates the strengths and weaknesses of the business and provides you with a realistic value you can expect to achieve. We are one hundred per cent focused on selling each and every business and have an unmatched record of obtaining the best price in the shortest time. The security of your business is important to us, that’s why we require every potential buyer to sign a confidentiality agreement before giving any identifying details. This, coupled with our computer cross matching system, reduces the need for advertising which may alert your competitors. We are experts in the sale of business opportunities because selling businesses is our only business. Why put up with business broking hassles, when Performance Business Sales can smooth the way to a successful and profitable sale resultl? 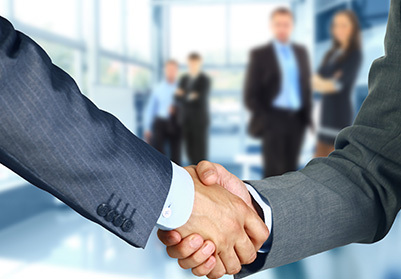 Contact Performance Business Sales whenever you are thinking of selling your business or maybe you would like to meet with us to discuss preparing your business for sale in the future.